Componenti had years of large-scale projects under its belt but no website or digital footprint. Wodu Media developed a cutting-edge digital brochure for the web, trade shows, and in-person meetings. Years of work but zero digital footprint. 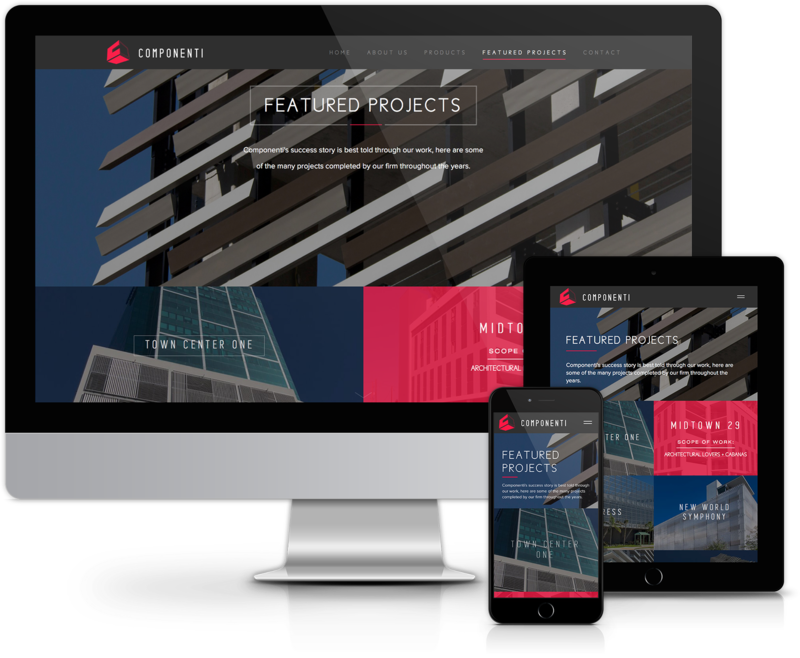 Componenti had years of large-scale projects under its belt but no website or digital footprint. Tell the story of Componenti through the work. of the many projects completed by the firm throughout the years. A cutting-edge digital brochure for the web, trade shows, and in-person meetings. 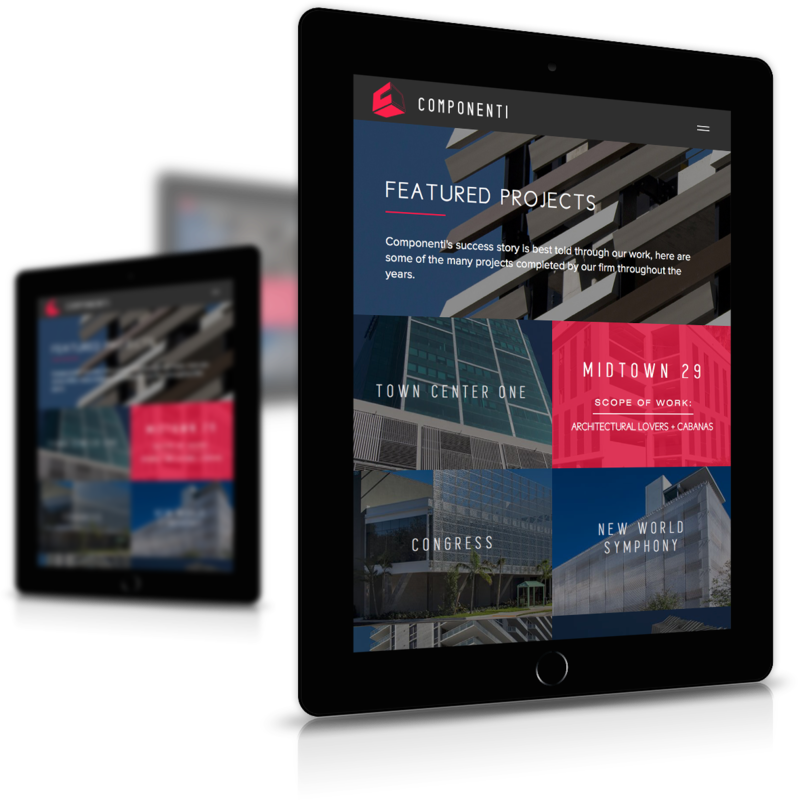 The resulting website is used by the CEO and salespersons in the field to quickly show potential clients the scale and expertise of Componenti.